FLORIDA: Conor McGregor was arrested in Miami Beach on Monday after a fan said the Irish mixed martial arts fighter smashed his phone and then walked off with the shattered remains, police records show. McGregor, 30, was booked into the Turner Guilford Knight Correctional Center in Miami on suspicion of robbery and criminal mischief, according to an arrest affidavit filed in connection with the incident, which took place shortly after 5 a.m. (0900 GMT) on Monday. “The victim and the defendant were exiting the Fountainbleau Hotel and the victim attempted to take a picture of the defendant with his cell phone,” the arrest report said, without identifying the second man’s name. “The defendant slapped the victim’s phone out of his hand, causing it to fall to the floor. The defendant then stomped on the victim’s phone several times, damaging it,” the report said, adding that the device was valued at $1,000. McGregor was taken into custody later on Monday. It was not immediately clear if he had retained a local attorney to represent him. 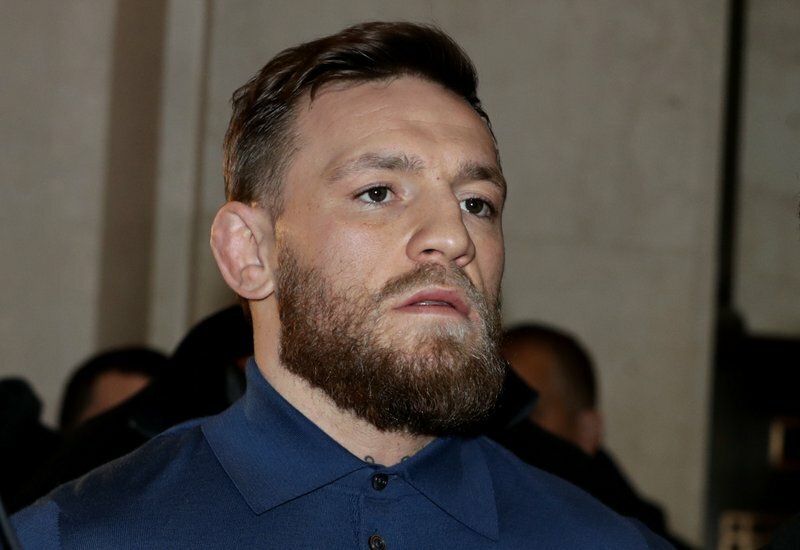 McGregor was charged in April 2018 with three counts of assault and one count of criminal mischief after police said he attacked a charter bus in New York carrying UFC fighters, throwing a moving dolly through a window and injuring other fighters.